Medical professionals from leading institutions across the country and throughout the world have come to Englewood Hospital and Medical Center to learn how our physicians use proven, effective alternatives to blood transfusion to improve patient outcomes. The U.S. government as well as governments of other countries have consulted with us to learn how to apply blood management techniques in dealing with catastrophic situations when little or no blood is available. 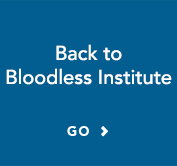 As part of our commitment to training and educating healthcare professionals in patient blood management, we invite you to review the lectures below. If you are an EHMC physician in our bloodless program, after you have viewed sufficient material to satisfy your two-hour yearly agreement, please email nancy.solomon@ehmchealth.org with your name and credentials. Is Patient Blood Management Safe? Patient Safety—Can We Afford Not to Do Patient Blood Management?